What is the function and purpose of the GPIO connector on the official display? The official display has a 5 pin header marked "GPIO". One pin is marked "5V" and appears to be a power output. 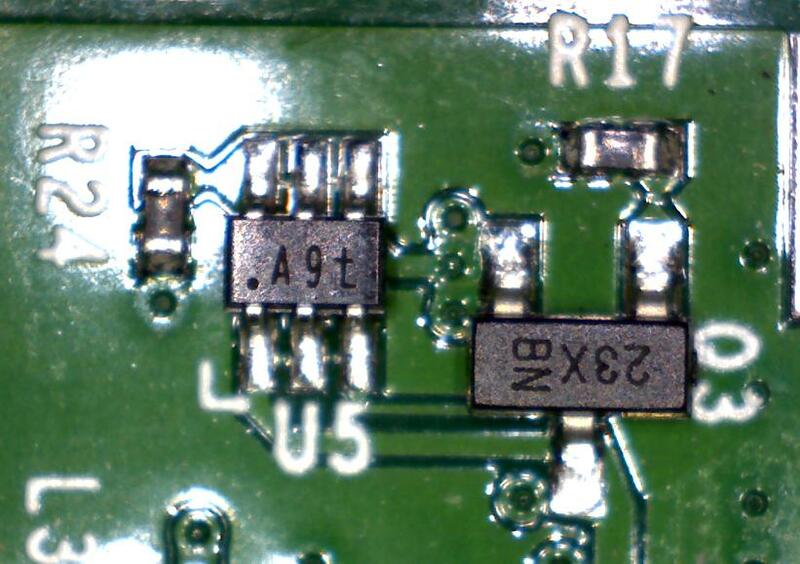 However, it is not connected directly to the 5V rail of the board which is available on the "PWR OUT" USB connector. Instead it is connected to the collector pin of Q2. What is the intended purpose of this pin, and why is it not connected directly to the 5V rail? What is the function of Q2, and where does this 5V supply actually come from? The voltage on this pin appears to be a few mV higher than that of the PWR OUT connector. Why? Two of the pins are marked SDA and SCL, and they are connected to the same I2C bus that is available on the DSI connector. Why are they duplicated? Finally there is the INT pin. This is not available on the DSI connector. What does it do? Edit: Also, why is the unit supplied with a four pin dupont cable? The DSI connector on Model A/B boards does not have the I2C connections required to talk to the touchscreen controller and DSI controller. This can be worked around by using the additional set of jumpers provided with the display kit to wire up the I2C bus on the GPIO pins to the display controller board. Using the wire jumpers, connect SCL/SDA on the GPIO header to the horizontal pins marked SCL/SDA on the display board. It is also recommended to power the Model A/B via the GPIO pins using the jumpers. This explains why the I2C pins are duplicated and what the cable is for. U5 is a voltage detector. When the board is powered it waits for a short amount of time before switching on Q3, which powers up the GPIO 5V line as well as the display backlight power circuit. I am still not sure why the GPIO 5V has this but the USB PWR OUT does not. The INT line is connected to PC7 of the ATTINY88 chip. This chip controls the backlight brightness and also seems to be connected to the touch screen controller, so it is probably passing through the touch interrupt. That doesn't make any sense at all, but I don't know what else it could be. There's no official documentation from foundation regarding the use of those pins or what exactly those pins are for. But I believe that, those external pins are responsible for touch part of the display. There are various i2c based touch controllers (like TSC2003/2007 and many others) available in the market and official display could be using one of those in their displays. (I could be wrong here but it is most likely the case). As far as, INT pin goes, I'm not sure but in TSC2003 based touch screens, it is an input from controller going to one of the Rpi gpio which interrupts Pi to tell that touch screen is touched, and after this interrupt Rpi driver goes on to read co-ordinates from i2c bus. I don't have an official Rpi display with me, but you can test if touch works without those pins connected to Rpi to test above mentioned logic. Also, those external I2C lines are different than DSI I2C lines as those lines are used to flash display controllers if required. A little digging on troubleshooting page suggests that official screen uses FT5406 controller which makes use of SPI or I2C, and if you want to know internal working of it, its data sheet can be found from here. Not the answer you're looking for? Browse other questions tagged hardware display or ask your own question. What happens when I have the official 7" display and connect a monitor via HDMI? What models of Raspberry Pi is the official 7" touchscreen compatible with? How to choose appropriate transistor and resistor values for the 4 digit display?